Aug. 6, 2013, 10:16 a.m.
By Ken Doctor @kdoctor Aug. 6, 2013, 10:16 a.m. It is a thunderbolt. If not tossed down from Mt. Olympus, it is thrown from Mt. Amazon, not far from Washington’s beatific Olympic Mountains. Jeff Bezos’s surprise buying of the Washington Post whipsaws media, and a media-watching world, intrigued by Red Sox owner John Henry’s winning of the Boston Globe auction, announced Saturday (“The newsonomics of John Henry buying the Boston Globe”). It compounds the curiosity of Warren Buffett becoming a small city newspaper magnate last year. It builds the suspicion that the few remaining people with the stomach to run daily newspapers have bank accounts with at least nine zeros after a non-zero numeral of some kind. It proves, yet again, that truth can trump fiction. Web historians: remember the 2004 Googlezon video, EPIC 2014, that postulated a Google/Amazon takeover of the news, and other, worlds? 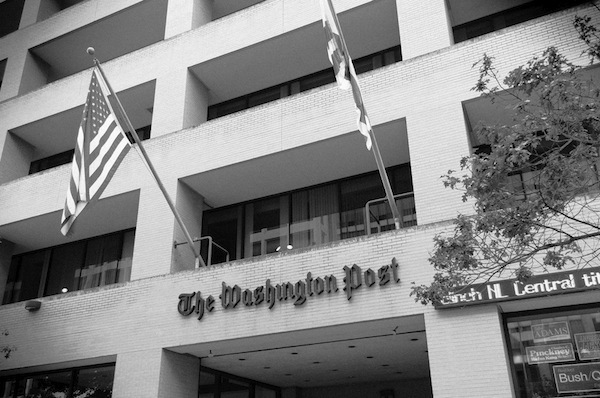 Forgetting memories of the Bancrofts, the Ridders, the Cowles, the Bonfils and the Binghams, the world expected the Graham family — heirs to the fabled Watergate profile in courage — to last as owners of the Washington Post forever. Instead, it will last 80 years. For $250 million — the price named by CEO Don Graham when he decided to abandon ship — the Graham family turns over its publishing assets and fades into history among those other clans, leaving the Sulzbergers, almost alone among America’s newspaper elite, to go forward in that tradition. There are two fairly simple answers. For the Post, quite specifically, its Kaplan genie ran out of Post subsidy wishes. As other newspaper companies turned south, with the one-two punches of digital ad and reader disruption and then the Great Recession, Kaplan — the Post Company’s separate education business — offset lost Post profits. Then, with government pressure on the excesses of the digital education business, Kaplan lost its mojo, its revenues and, in 2012, its profits. For Post execs, it was time to face the financial music. The tune they heard was off-key. It’s a reckoning I now hear widely across the newspaper industry, from the U.S. to middle Europe: the next five years may be as tough a digital transformation as the last. Yes, the positive of digital/All Access reader (circulation) revenue is great, a ray of hope. Marketing services and events businesses are offering new revenue streams unthought of three years ago. Yet, the accelerating print ad decline, coupled with tepid (if any) digital ad revenue growth, casts a dark cloud over the next several years. The meager profits (5-10% in many cases) of daily newspaper companies are fading from solid black to gray, in danger of turning red, or in the case of the Washington Post publishing division, staying in the red. So, if you are Donald Graham, facing these realities, it was time to look into the family mirror. For lack of either financial wherewithal or willingness or familial stomach, the Graham family dynasty ended, and quickly. It was the annual Sun Valley Allen & Co confab that provided a useful setting for getting the deal done; who says conferences are a waste of time? Zuckerberg, alas, is an almost purely digital guy, while Jeff Bezos is known as a voracious reader of news. Amazon was of course founded on books, another classical text medium. Why are these billionaires buying into the press? First of all, because they can. For post-WW 2 decades, the press was a tight fraternity. Family-owned and then chain-owned newspapers dealt with each other; when newspapers changed hands, they were handed to those within the circle of trust. Brokers knew who in the circle were buying and who were selling. Auctions were rare. Prices were high at multiples (the multiplier of annual earnings) twice to thrice what we see today. After Lee Enterprises overpaid for Pulitzer Inc. (2005) and McClatchy almost choked on its purchase of Knight Ridder (2006), newspaper owners have largely tipped on one side of the transaction boat: sellers, not buyers. Combine that aversion to buying with a devaluation of newspaper currency — they are worth about a tenth of what they were in 2000, or in the case of the Globe, 4% (adjusted for inflation) of what the Times Company paid for it 20 years ago . All kinds of new would-be owners have come out of the woodwork. The Manchesters, Kushners, Lorings, Buffetts, Henrys and Bezos, just to name a few, share some common traits, though — quite importantly — in different quantities. Financial bet: They believe they are buying toward a bottom of the newspaper market. Of course, Sam Zell and Brian Tierney are among those who believed the same thing and were overwhelmed by tsunamis of debt. But, wait, maybe this is close to the bottom; sometimes bottom-buyers are right. Now, in 2013, how many real estate buyers are kicking themselves for not buying a year ago? Civic values: News media are a fairly integral part of any democracy and that belief is shared, if unevenly, among the rich. Ego: Or vanity, or arrogance, more pejoratively. Or extreme self-confidence, more favorably. To place a bet in the tens of millions on a property in a distressed industry, believing you can turn around what most others failed to turn around, you better have high self-esteem. It’s a mix of those three that defines these new owners. You can play the parlor game of how the chemistry works within any one of them. Are newspapers any longer creatures of the market? When former Star Tribune Publisher Joel Kramer started up MinnPost in 2007, he explained that newspapers were no longer “creatures of the market.” He meant that what came to be known as the “advertising subsidy” (Good Jay Rosen explainer) was going away and that huge ad volumes that paid for huge newsrooms would be obsolete. Flash forward, and that’s become painfully omnipresent, with significant new cutbacks coming this very week throughout Gannett. So this new private ownership takes newspaper companies out of the glare of public company profit pressure and scrutiny. The Globe and the Post will be just the latest to move from publicly traded companies into private hands, following the Orange County Register, the Philadelphia Inquirer, Journal Register Co, and MediaNews Co, among others. It’s a logical move. In an environment of multiple hazards, only a long-term view, and investment that may mean diminishing profits in the short term, may get these companies to the other side. The legal, fiduciary responsibility of maximizing return for investors can be counter-productive to long-term viability. The painful alternative for the Grahams, for instance: deeper cutting of the newsroom, which, under Bezos, may be averted. In a strong sense, it’s full-circle. Newspapers started as mass vehicles under strong, private ownership. Then they enjoyed the fruits of the public markets from the ’70s on. Private to public, and now back to private. Isn’t this trend of super-wealthy ownership bad for the press? Not necessarily. Take the long-standing argument about chain newspaper ownership vs. family ownership. The truth: some chains produced the best journalism in the country — and the worst. The same has been true among the family-owned. For every Doug Manchester turning the local daily into a personal platform, there may be an Aaron Kushner gung-ho on product and content. The good news: We’re going to have far less uniformity in the daily press, as we leave the chain days. The bad news: The lows will be lower. So what is in White Knight Bezos’ bag of tricks? This may be the most fascinating question of all. Bezos’ Amazon has widely distinguished itself in two major ways, both of which may portend good things for the new Post. Number one, he’s built — and continues to build — the company with a long-term perspective. He has long frustrated investors impatient with losses and meager profits, as revenues are plowed back into growing the business. That’s a long-term perspective the newspaper business needs more of. Number two, he has focused obsessively on customer experience. Amazon is the gold standard of utility on the web. Know an industry that could use a revolutionary thought or two about how to present and deliver news on the tablet and smartphone? If Bezos can apply the same focus to the Post that he has to Amazon, we could see a new leader emerge in the industry. Historically, the early WashingtonPost.com was an early leader, and can be again. WaPo Labs has created an array of innovative products, but none has reached scale-changing heights. Two things Bezos knows: scale and data. Expect him to concentrate on those values at the Post, as he reviews such recent initiatives as the Post’s new paywall. Isn’t there a big downside to the owner of Amazon owning the Post? Certainly. Ask anyone in Seattle about Jeff Bezos’ willingness to throw around his Amazonian weight. Though the sales tax issue seems largely resolved (with Amazon jujitsuing a seeming loss into a win, “The Newsonomics of Amazon vs. Main Street“), many big political issues related to the company remain. Privacy is a top one. Amazon needs more friends in D.C., and it’s hard to imagine what’s better than owning the editorial page of the Washington Post in that quest. In the abstract, it’s much better to have newspaper owners who don’t have major stakes in powerful, non-newspaper companies. Those days are apparently drawing to a close. Cave, lector. Well, it is, in several ways. Thirty years ago, it was on a par with The New York Times. The Times opted to go national, while the Post opted to emphasize regional. Who made the better bet is still to be seen. The Times, of course, sees a huge, potential global upside, but the Post has long dominated audience in its highly affluent region, first in print and then digitally. While the Post has a large non-local audience — national politics and government is in its very DNA — it hasn’t well-monetized that crowd. Look for Bezos to take a fresh approach to local, national and topical segmentation. Does the sale price tell us something about the new valuation of the metro press? I doubt it. Bezos agreed to Graham’s asking price of a quarter of a billion. That seems rich for a paper and publishing assets that are unprofitable, losing somewhere between $10 million and $50 million in 2012, depending how you account for pension expenses. Yet, that’s one percent of his $25 billion net worth. (Americans, on average, donate 4.7% of their income annually.) So, he’ll hardly know it’s gone. The low Globe price — which, recall, was semi-artificially heightened when the New York Times Company opted to keep its Globe pension obligations — is much closer to the mark. That’s about three times annual earnings. In the end, it may have been that outsized regional reach, the closeness of the Graham/Bezos relationship, a little DC real estate and the special glow of Post brand that sealed the deal and the price. So, what about the Sulzbergers and the Times? How lonely is it as one of the few remaining family-controlled big newspaper companies? The Times is clearly doing better than it was four years ago when it was forced to sell part of its building and take a usurious loan from Carlos Slim (whose wealth is 3X times Bezos’). Debt is done; cash is up. Yet, it faces all the same news company issues that the Post faces. Does it have the financial wherewithal, willingness and stomach to push into another tough half-decade. If not, look for another billionaire to expand his news interests: Michael Bloomberg. Image by Max Borge used under a Creative Commons license. POSTED Aug. 6, 2013, 10:16 a.m. Doctor, Ken. "The newsonomics of Jeff Bezos buying The Washington Post." Nieman Journalism Lab. Nieman Foundation for Journalism at Harvard, 6 Aug. 2013. Web. 23 Apr. 2019. Doctor, Ken. "The newsonomics of Jeff Bezos buying The Washington Post." Nieman Journalism Lab. Last modified August 6, 2013. Accessed April 23, 2019. https://www.niemanlab.org/2013/08/the-newsonomics-of-jeff-bezos-buying-the-washington-post/.